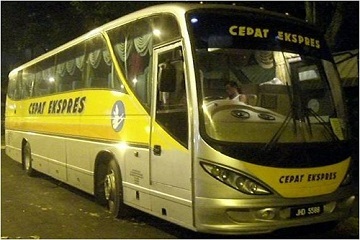 Cepat & Cekap Express is a well known express bus company based in Segamat Johor. 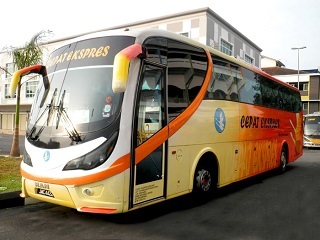 If you need to travel frequently from state to state, Cepat & Cekap Express offers more than 1300 departure per day to various major cities within the West Peninsular Malaysia. 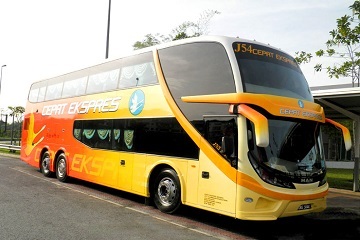 Cepat & Cekap Express buses cover all major cities and towns in Peninsular of Malaysia such as to Johor, Kedah, Kelantan, KL, Malacca, Negeri Sembilan, Pahang, Penang, Perak, Perlis, Selangor & Terengganu. Popular routes for Cepat & Cekap bus includes bus from Sungai Petani to Johor, bus from Alor Setar to Kuala Lumpur, bus from Alor Setar to Butterworth, bus from Kangar to Mersing, bus from Kangar to Melaka and many more. 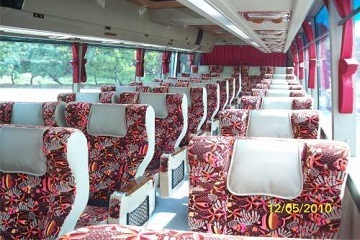 Buses are Super-VIP coaches with air conditioning to ensure the maximum comfort for all passengers. All routes has few stop-overs along the interstate highway at Kluang, KL, Ipoh, Butterworth and Sungai Petani. Cepat & Cekap Express driver are well trained and professional to provide passengers the safest and most comfortable journey. Lot 174, Kawasan Perindustrian Segamat, Jalan Genuang, 85000 Segamat, Johor.